Timber is not only a beautiful product that’s a renewable and recyclable resource, but it actually acts as a carbon store that can help in reducing carbon emissions. 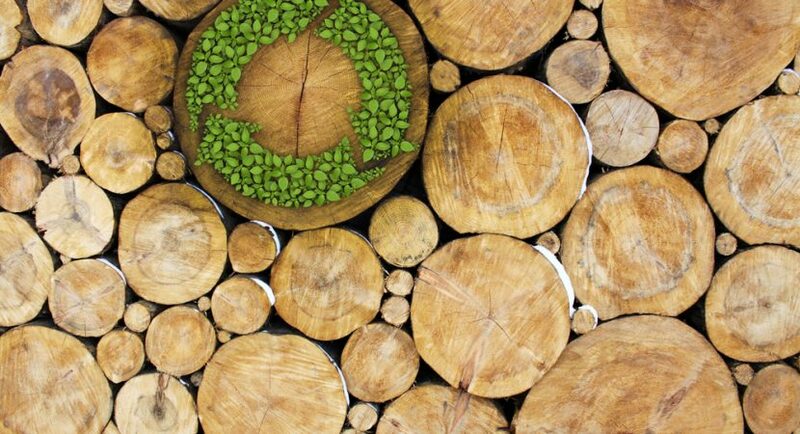 Using sustainable timber has many benefits to the planet and the end user, read more to find out how sustainable timber can benefit you and your economy. In response to the global challenges presented by climate change issues, sustainable wood provides a natural and eco-friendly solution to many of the material resource problems we face today. Sustainable timber produced from well-managed sources is considered to be one of the planet’s most valuable resources. Timber is a recyclable material that can be produced on a mass scale, to be used for a wide variety of different purposes. Timbersource stock comes from sustainable forests, which replant trees after they are harvested. This means that more C02 is stored which makes sustainable timber products better than carbon neutral. Timber products consists of decking, cladding, fences, timber doors and much more. There are two main bodies of certification that ensure that companies source wood do it from fully managed sustainable forests. There are The Forest Stewardship Council (FSC®) and Programme for the Endorsement of Forest Certification schemes (PEFC). Timbersource holds both of these certificates. If you are unsure whether you are buying sustainable timber, then be sure to look out for both of these certificates. For more information, Click Here. Timbersource are a leading online timber merchant in the UK, supplying hardwood and softwood timber to the joinery, carpentry, retail and construction at competitive prices. To visit our website, Click Here.